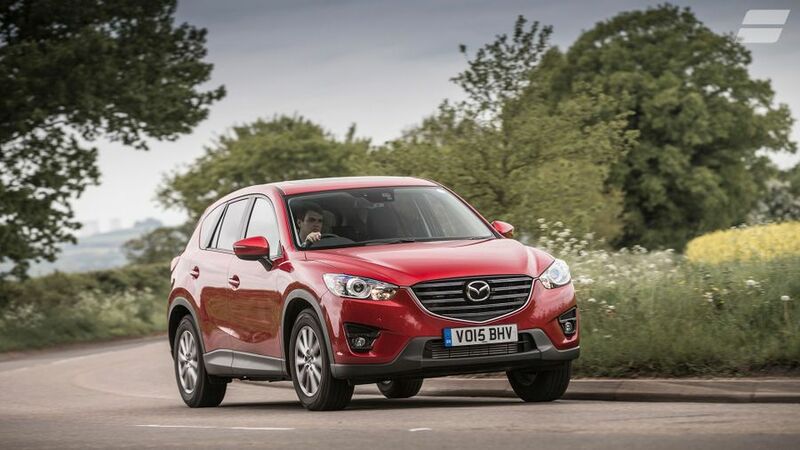 Read the Mazda CX-5 4x4 (2012 - ) car review by Auto Trader's motoring experts, covering price, specification, running costs, practicality, safety and how it drives. 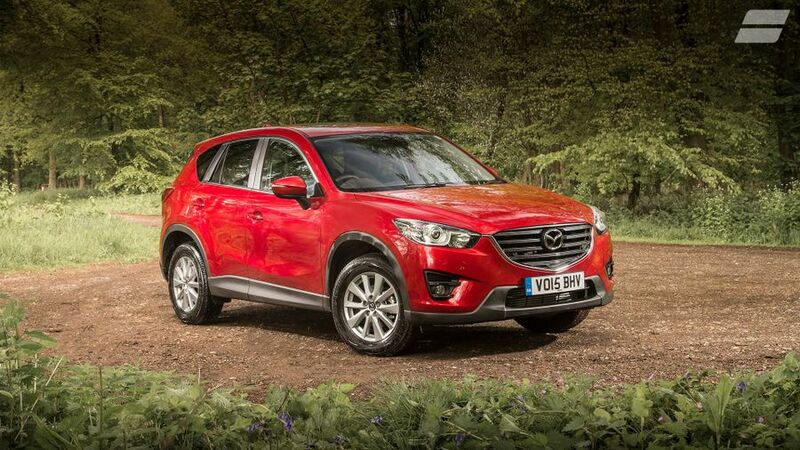 The Mazda CX-5 is a well-rounded small 4x4 with sporty looks and performance but low running costs. It's a real contender in this important class. Front-wheel drive petrol model is cheapest to buy but doesn’t lack kit. 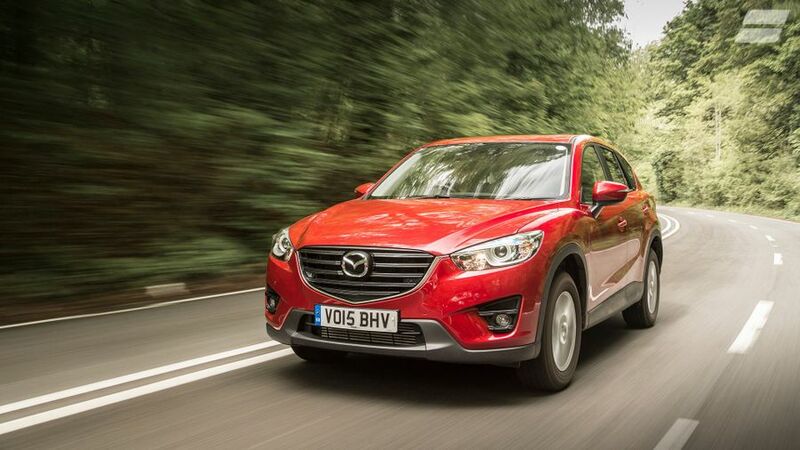 The Mazda CX-5 represents two changes for the Japanese car maker. First and foremost, it’s the first small crossover 4×4 from Mazda, allowing it to compete with cars in a growing market, which includes the likes of the Volkswagen Tiguan, Nissan Qashqai, Ford Kuga, Hyundai ix35 and Kia Sportage. It also ushers in a new design direction, coined ‘KODO – Soul of Motion’. It’s characterised by a five-point grille surround and ’signature wing’ – a line connecting the headlights across its nose, which takes it’s inspiration from a Cheetah’s face as it prepares to pounce. It’s a neat design, with expensive features like twin tailpipes across the range. But, while it might be one of the best-looking cars in the class, we worry it doesn’t stand out enough to create big waves as a latecomer to the party. Mazda has concentrated on ease of use and craftsmanship and the interior is its best yet. The driver sits in a more low-slung position than most competitors, with Mazda even citing its own MX-5 sports car as inspiration for its configuration. Why? Mazda sees itself as a sporty brand, no matter if it’s designing a convertible, SUV or MPV. The central console has an attractive design around its climate controls, and the infotainment system is logical and easy-to-use, with most things being controlled from the 7-inch colour touchscreen. The graphics aren't quite as swish as on some of its rivals, but it's a good system augmented by shortcut buttons and a rotary controller in the centre console. There's also a usefully-deep cubby hole underneath the driver's armrest. 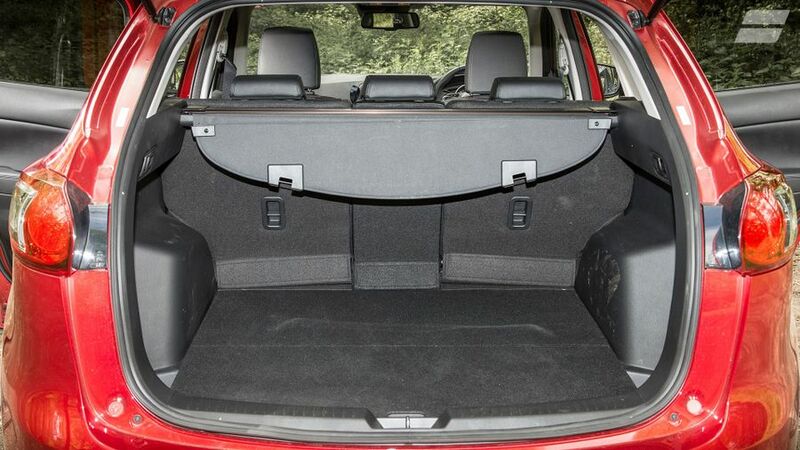 Being one of the longest cars in its class, rear legroom is excellent, making the CX-5 perfectly comfortable for four adults. 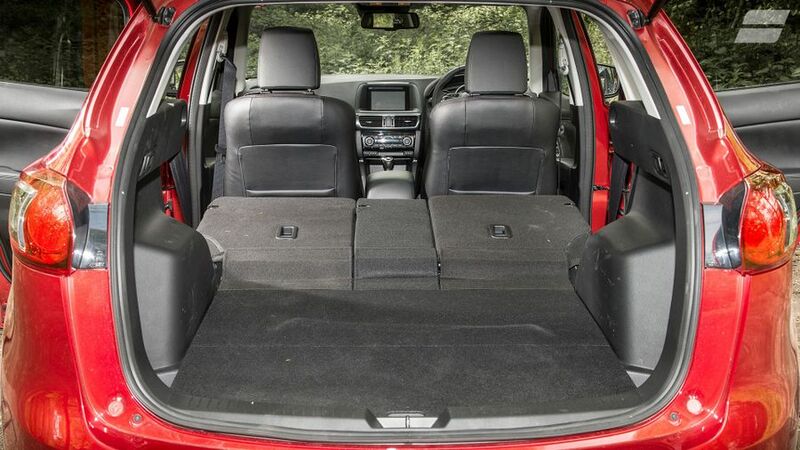 It also has a decent 503 litre boot (Tiguan 470 litres, Ford Kuga 410 litres), which expands to 1,620 litres by folding the 40:20:40 rear seats. These can be flipped down using handles just inside the boot and lie almost flat. However, they lack the flexibility to slide forwards and back, as found in the Volkswagen Tiguan. 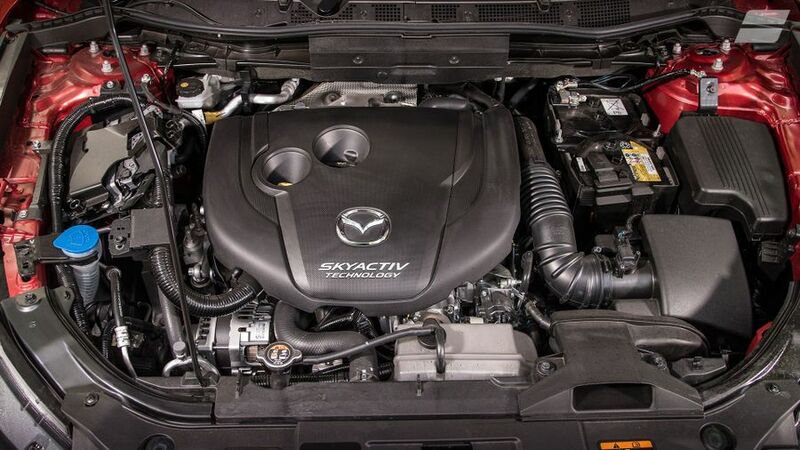 The CX-5 is the first Mazda built with its SKYACTIV range of features, all aimed at saving fuel, without sacrificing performance or safety. A crucial element is weight saving, resulting in this being the lightest model in its class at just over 1,300kgs (in petrol, front-wheel drive guise). You can tell from behind the wheel too, the CX-5 feeling keen to turn into corners, with little body roll and only small amounts of dive under heavy braking. The suspension is, however, just a touch firm, thumping into imperfections in the road surface. It settles down a bit at motorway speeds, but at lower speeds, it can get a little wearing. There’s one 2.0-litre petrol with 163bhp and two 2.2-litre diesel models with 148- or 173bhp. 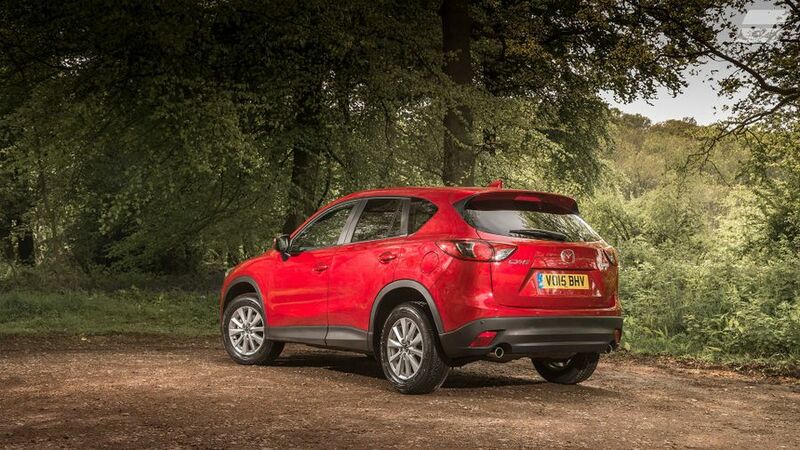 Thanks again to its light weight, the CX-5 is pretty sprightly, with the two-wheel drive 148bhp diesel hitting 62mph in 9.2 seconds – more than half a second quicker than the equivalent Tiguan and way ahead of the Qashqai. It’s the diesels which suit the CX-5 best, the petrol sounding more strained while accelerating and needing to be worked harder as a result of its lower pulling power. Both diesel engines are extremely smooth and continue to produce power to the red-line at a heady (for a diesel) 5,500 revs. The standard six-speed manual deserves a special mention for its short and sweet action – again inspired by the MX-5. An automatic ‘box is available with either diesel, which also shifts impressively cleanly and quickly – so much so we wished steering wheel paddles were available. 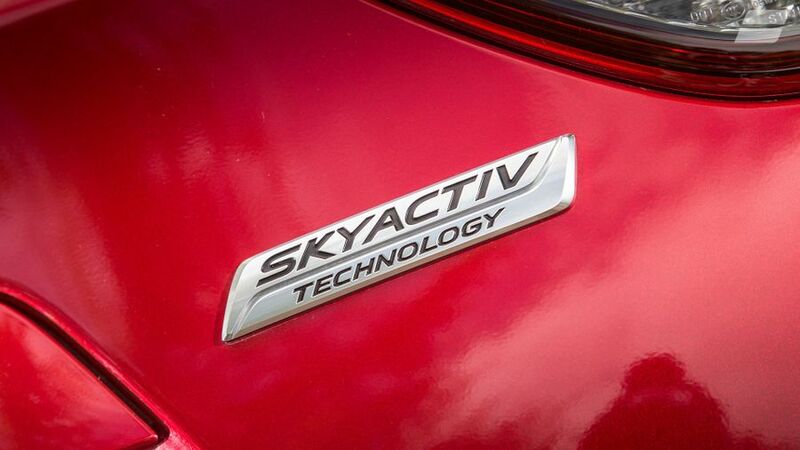 The first Mazda featuring its green SKYACTIV branding has been built from the ground up to be as economical as possible and it has won them class-leading figures. The front-wheel drive diesel with 148bhp averages 61.4mpg and emits only 119g/km of CO2, equivalent to many superminis. Choose four-wheel drive and this drops to 54.3mpg and 136g/km. If economy and low VED are your priorities, however, we'd avoid the petrol mdoel. It's actually pretty good in this sector - returning 47.1mpg and emitting 139g/km of CO2, but the diesels suit the car better and are much cleaner and more economical. Mazda has an excellent reliability record, with several of its models winning awards for their performance in this category. Mazda itself is also rated very highly on Warranty Direct's Reliability Index, but this being such a fresh model, only time will tell the whole story. Mazda is a company which clearly excels in engineering, so this should be reflected here. Mazda has decked out the CX-5 with a raft of safety kit, and very effective it is, too: the CX-5 scored a maximum five stars in Euro NCAP crash tests. Over and above the expected airbags and electronic skid-prevention aids, all trim levels get Smart City Brake Support (SCBS) as standard. Between 4- and 30km/h, SCBS can apply the brakes automatically to mitigate a collision. An optional safety pack includes blind-spot warning, lane departure warning, and automatically dipping headlights. Mazda generally offers comprehensive levels of kit, and there’s no change here. The entry-level SE-L trim has highlights including 17-inch wheels, fog lights, auto lights and wipers and dual-zone climate control, Bluetooth, DAB radio and cruise control. SE-L Nav adds sat-nav, while SE-L Lux trim adds a sunroof, an electrically adjustable driver's seat, and heated leather upholstery. Sport Nav brings 19-inch alloys, Bi-Xenon headlights, leather, reversing camera and a Bose nine-speaker sound system.